Vacuuming is a huge part of taking care of your carpet and floors. While vacuuming isn’t necessarily difficult, there is a right and a wrong way to do it. 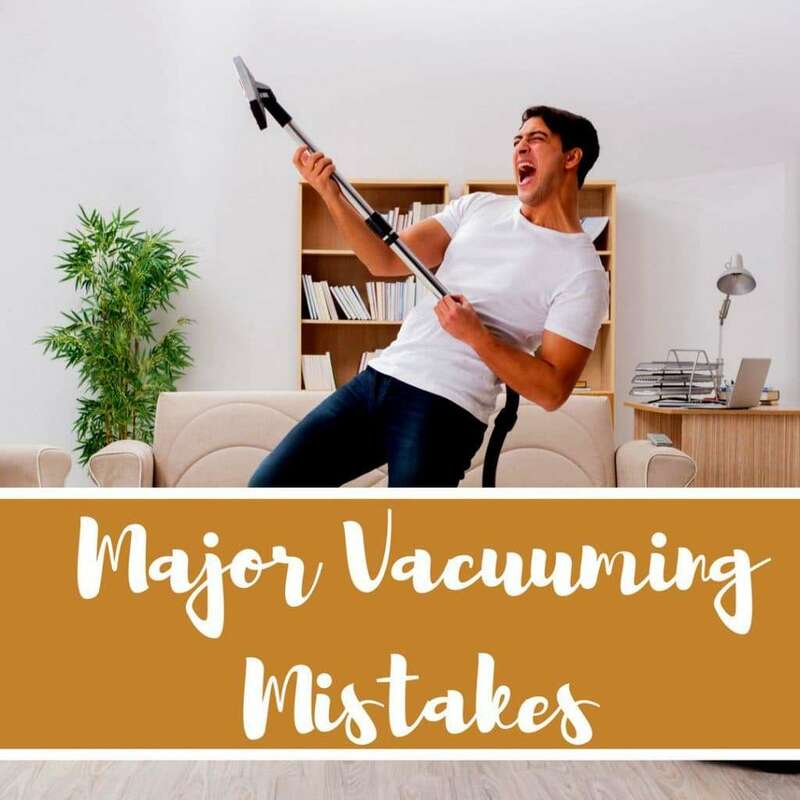 It may surprise you to find out most people are vacuuming incorrectly. Here are some very common, but significant mistakes people make while vacuuming. It is best to change the vacuum bag when it is three-quarters full or to change the dust collection canister EVERY time you vacuum. This allows for stronger and more efficient suction. The filter does not need to be changed or cleaned as often as a bag or canister, but if it is dirty it needs to be cleaned or replaced immediately. If you have a HEPA filter change it every six months or every six bag changes. For the best care of your vacuum filter check the owner’s manual. Those tools that snap into the side of the vacuum come in pretty handy. Crevice tools are great in couches, around floor boards, and in corners. Use the dusting attachment for cobwebs, light fixtures, etc. They make your cleaning life a great deal easier and they don’t cost any extra money, so use them! That’s right you should be vacuuming your furniture. Once weekly is best and especially under those couch cushions. Your couch could be harboring more body oils, dirt, and food crumbs than your floor. A brush roller that has problems turning also has problems effectively loosening debris from the carpet. The stress of items tangled around the bar can also lead to it burning out the motor of the vacuum. So check that roller bar once in a while to ensure it is clean and freely moving. Many people pull out the vacuum, plug it in, then quickly move the machine sporadically across the floor. This is actually not very helpful at all. The best way to get as much debris out of the carpet as possible is with a slow and methodic method like mowing the lawn. Vacuum in rows and overlap so you don’t miss a spot. For more great carpet care tips and advice please feel free to browse our website. For the best professional carpet care in the Puget Sound area make an appointment with All Kleen.